Before you add a thickener to a sauce, skim the fat from the top. Once you've added the thickener, the fat will be harder to remove. 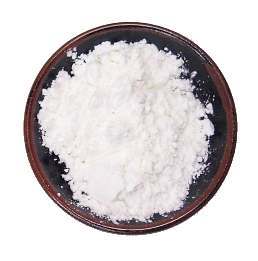 Flour is a good thickener for gravies, gumbos, and stews, since it gives them a smooth, velvety texture. It's best to mix it with fat first, either by making a roux or beurre manié, or by flouring and frying stew meat before adding a liquid to the pot. If you wish to cut fat from your diet, you can instead mix the flour with water and add it to the sauce, but you'll need to cook it for quite awhile to get rid of the starchy, raw flour taste. Sauces thickened with flour become opaque, and they may become become thin again if they're cooked too long or if they're frozen and then thawed. Starch thickeners like cornstarch are mixed with an equal amount of cold water, then added to warm liquids to thicken them. They're a good choice if you want a low-fat, neutral-tasting thickener. They give dishes a glossy sheen, which looks wonderful if you're making a dessert sauce or pie filling, but a bit artificial in a gravy or stew. If you get lumps in your sauce from a thickener, blend the sauce in a blender or food processor until it's smooth. Cereal grains like oatmeal, couscous, soup pasta, farina, are often used to thicken soups. Reduction is a slow but low-fat way of thickening sauces and concentrating flavors. Just cook down the sauce in an uncovered pan until it's thickened to your liking. Meat and fish glaces are a time-consuming--or expensive, if you buy them ready-made--way of thickening and enriching sauces. They're made by reducing stocks until they're thick and gelatinous. A good way to thicken soups or stews is to add grated starchy vegetables, or to purée the vegetables in the sauce. Nuts make good, flavorful thickeners for stews, though they're often expensive and high in fat. Just grind them down to a flour or butter, and add them to the dish. Egg yolks add a silky, velvety texture to soups and sauces, but they'll turn into scrambled eggs if they're not introduced carefully into the hot liquid. 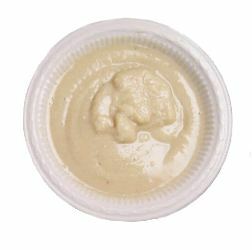 Cream, once reduced, gives sauces a rich texture and flavor as it thickens them, but it's high in fat. To make a low-fat cream sauce, use evaporated milk mixed with a starch thickener. Yogurt is a popular soup thickener in Eastern Europe and the Middle East. 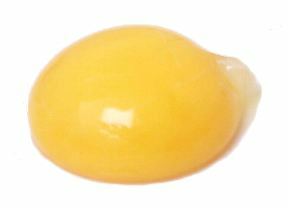 egg yolk Notes: Egg yolks make wonderful thickeners--imparting both a rich flavor and velvety smooth texture--but they're tricky to use. You can't just whisk them into a simmering sauce--they'd curdle on contact. Instead, you need to "temper" them by adding some of the hot liquid to the egg yolks, whisking the mixture together, and then adding it to the sauce. To prevent the yolks from coagulating, you need to keep the sauce below 190°, although this rule can be broken if the sauce has a lot of flour in it. Finally, never cook sauces with egg yolks in aluminum pans or they'll turn gray. pectin Equivalents: 2 tablespoons liquid pectin = 4 teaspoons powdered pectin Pronunciation: PECK-tin Notes: In order to make preserves like jams and jellies, you normally cook together fruit, acid, sugar, and pectin, a substance found in certain fruits that gels when heated. Some fruits -- like quinces, gooseberries, tart apples, and sour plums -- contain enough natural pectin that they'll thicken all by themselves into preserves. Others, like cherries and some berries, need an extra boost to firm up. Jam recipes for pectin-deficient fruit normally call for liquid or powdered pectin, which you can find among the baking supplies in most supermarkets. The recipes usually specify what brand of pectin to use, and it's not a good idea to substitute one brand for another, since they have different formulas. Some brands (like Sure Jell and Certo) need acid and sugar to set, some (like Sure Jell for Low Sugar Recipes) need acid and just a little sugar to set, some (like Pomona's Universal Pectin® or Mrs. Wages Lite Home Jell Fruit Pectin®) don't need any sugar to set. 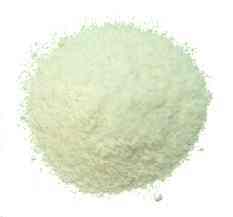 Liquid pectin contains sulfite, which can cause an allergic reaction in people with sulfite sensitivites, but powdered pectin does not. 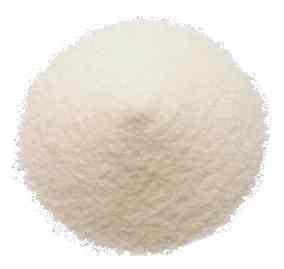 ThickenThin™ = ThickenThin not/Starch thickener™ = NotStarch Notes: This thickener has no calories, fat, or carbohydrates. It's great for thickening gravies, sauces, and soups, but it won't set up sufficiently to make puddings or custards. 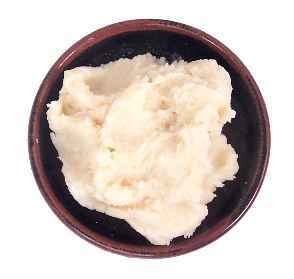 A little goes a long way, so use about half as much as you would a starch thickener.